A big thanks to my great friend Mr. Maxx Moses for the amazing opportunity to create alongside so many talented individuals on “The Alliance Project”. Much appreciation to Patric Stillman, and the entire Studio Door family for the Kreashun mural feature in “50 TO WATCH”. It was an honor to work with so many creative people on this project in the heart of North Park. 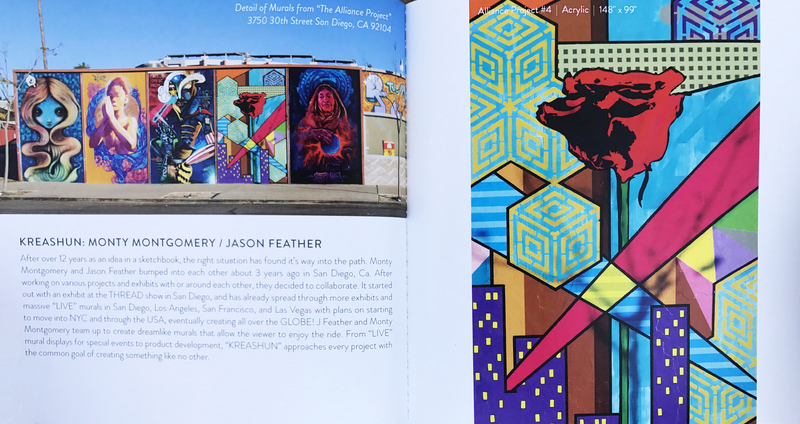 Special acknowledgments to San Diego Visual Arts Network for their introductions to ensure that this premier project secured additional gallery participation and to the generosity of Greater San Diego’s art community who embraced the project with open arms.